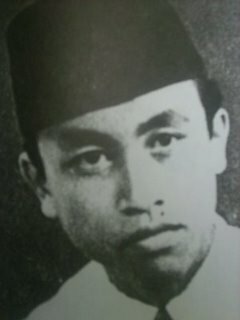 On this date in 1950, Rosli Dhobi or Dhoby was hanged by the British for assassinating the governor of Sarawak. The scene of events lies in the present-day state of Malaysia, which gained independence in 1957. As a glance at the atlas will show, Malaysia oddly comprises two principal chunks of territory lying hundreds of kilometers apart across the southern reaches of the South China Sea: the end of the Malay Peninsula, reaching south from Thailand and the Eurasian landmass — and the northern third of the island of Borneo, which Malaysia shares with Indonesia and Brunei. Dhobi’s passion is a story of the Borneo side — from what is today the largest of Malaysia’s 13 constituent states, Sarawak. The man proved to have a deft hand for diplomacy and governance and steadily grew his fiefdom, eventually establishing his own dynastic monarchy, the White Rajahs. In 1946, the third and last of Brooke’s dynasty, Vyner Brooke,** ceded his family’s interest in Sarawak to the British Colonial Office — changing it from a crown protectorate to a crown colony and setting Sarawak on the path to transit the era of decolonization tied to the British colony of Malaysia instead of, say, independent statehood. No surprise, this backroom arrangement among Anglo suits played to many in Sarawak as a wanton abnegation of self-determination, spurring a widespread anti-cession movement. Thus aggrieved, our man Rosli Dhobi (English Wikipedia page | Malaysian) became deeply involved with an anti-cession group called the Sibu Malay Youth Movement. Out of this body, 13 particularly radical members eventually formed a secret terrorist cell called Rukun 13 (“13 Pillars”). Balked of their plan to murder the British governor Charles Arden-Clarke by the latter’s timely transfer to Ghana, they instead greeted his successor Duncan Stewart just days after arrival — with Dhobi fatally daggering the new guy when he appeared at a photo op at the town of Sibu. Dhobi was only 17 years old at the time. In time the British successfully suppressed the anti-cession movement, but Dhobi’s execution was so politically sensitive when it occurred that he was buried in an unmarked grave within the walls of Kuching Central Prison. The judgment of posterity in Sarawak has been quite a bit more generous: on March 2, 1996, the forty-sixth anniversary of his hanging, he was reburied in the Sarawak Heroes’ Mausoleum in Sibu. A school in that town is also named for him. * Another noteworthy example of an intrepid private individual redrawing the colonial map for his mother country occurred decades later with Germany’s presence in Tanzania. 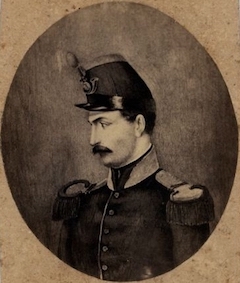 ** Vyner Brooke’s nephew and his heir apparent as the prospective next White Rajah, Anthony Brooke, bitterly opposed the cession, so much so that British intelligence initially considered him a possible suspect in Duncan’s murder. Anthony Brooke formally ceded all his own potential claims to the rule of Sarawak in 1951. 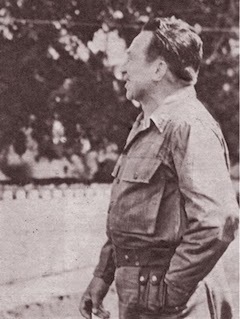 Restored to his situation, Casillas was called upon to defend Fulgencio Batista once again in the last days of 1958 at the Battle of Santa Clara — what would prove to be the decisive battle clinching the triumph of the Cuban Revolution. The battle was won on New Year’s Day, and Casillas captured that day by revolutionary commander Che Guevara. 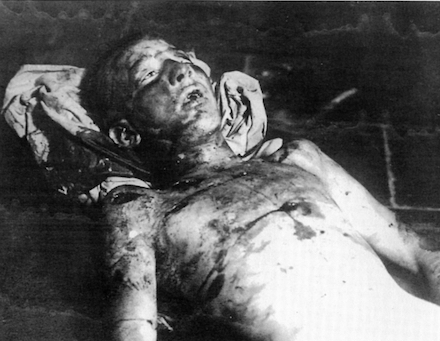 Quoting Che now, Taibo continues: “‘I did no more and no less than the situation demanded — i.e., the death sentence for those twelve murderers, because they had committed crimes against the people, not against us. '” They would scarcely be the last. the crowds in Havana were exacting a long-delayed justice. A sort of reasoned and selective vandalism took hold of the crowds, who attacked the gas stations belonging to Shell, which was said to have collaborated with Batista by giving him tanks. They also destroyed the casinos belonging to the American Mafia and the Batista underworld, trashed parking meters — one of the regime’s scams — and attacked houses belonging to leading figures in the dictatorship. * Casillas carried out the murder in a law enforcement guise: sent on some pretext to arrest Menendez, Casillas shot his man dead when Menendez flexed his parliamentary immunity and told the cop to pound sand. ** Casillas’s defense lawyer in the Menendez proceeding was Jose Miro Cardona, who briefly became Prime Minister of post-Batista Cuba but had a much longer career as a prominent anti-Castro exile. As chair of the Cuban Revolutionary Council, he was the potential head of state had the 1961 Bay of Pigs invasion succeeded. Halloween of 1926 was a festival of triumph for the Italian fascists … and they crowned it in a festival of blood. The occasion marked (not exactly to the day) the fourth anniversary of Benito Mussolini‘s bloodless coup via the October 1922 March on Rome. And as a gift for himself and his populace, Benito Mussolini on that date inaugurated Bologna’s Stadio Littoriale by riding a charger into the arena and delivering a harangue. Fascist-built and still in service, it’s now known as the Stadio Renato Dall’Ara and it’s home to Bologna F.C. 1909. (cc) image by Udb. It had been fired by a 15-year-old anarchist named Anteo Zamboni, vainly and sacrificially hoping to turn history’s tide with a well-placed bullet. The incident is the subject of the 1978 film Gli Ultimi Tre Giorni. 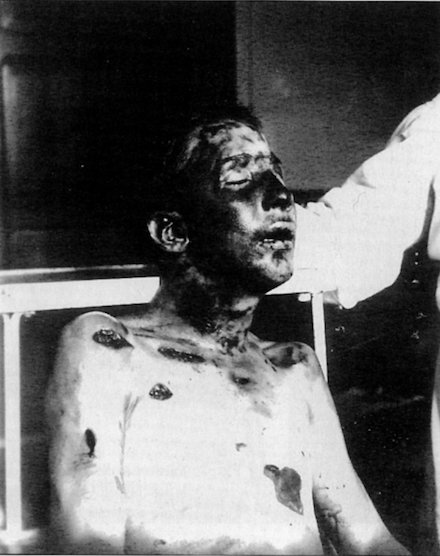 * Zamboni’s was only one of three assassination attempts on Mussolini in 1926 alone. 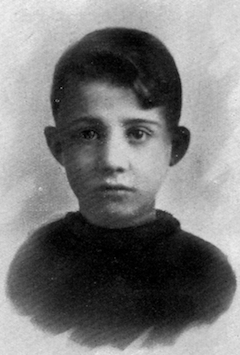 ** Just days afterwards during the post-Zamboni repressive pall, the great Marxist intellectual Antonio Gramsci was tossed into prison, never to emerge. Gramsci’s Prison Notebooks issued out of his dungeon, before his health succumbed in 1937 to the intentional neglect of his captors. † It’s reportedly cavalry officer Carlo Alberto Pasolini who first detained the youth: the father of postwar film director Pier Paolo Pasolini. This morning Mr. Carew was hanged and quartered at Charing Cross; but his quarters, by a great favour, are not to be hanged up. John Carew, one of the 59 Parliamentarians to sign the death warrant of King Charles I, was executed on this date in 1660 for regicide. He was the second regicide upon the gallows in a week of bloodshed, following the October 13 butchery of Major General Thomas Harrison. was a gentleman of an ancient family in the county of Cornwall, educated in one of the universities, and at the inns of court. 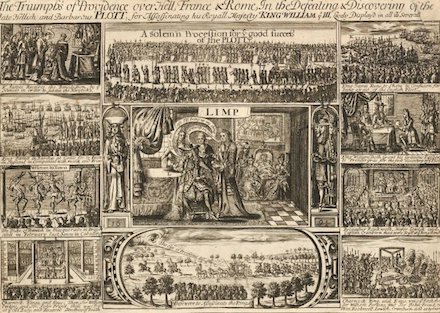 He had a plentiful estate, and being chosen to serve in the great parliament, he was elected into the council of state, and employed in many important affairs; in which he shewed great ability. He found the same usage from the court as major-general Harrison had done, being frequently interrupted, and counsel denied, though earnestly desired by him, in that point of law touching the authority by which he had acted: when he saw that all he could say was to no purpose, he frankly acknowledged, that he sat in the high court of justice, and had signed two warrants, one for summoning the court in order to the king’s trial, and another for his execution. 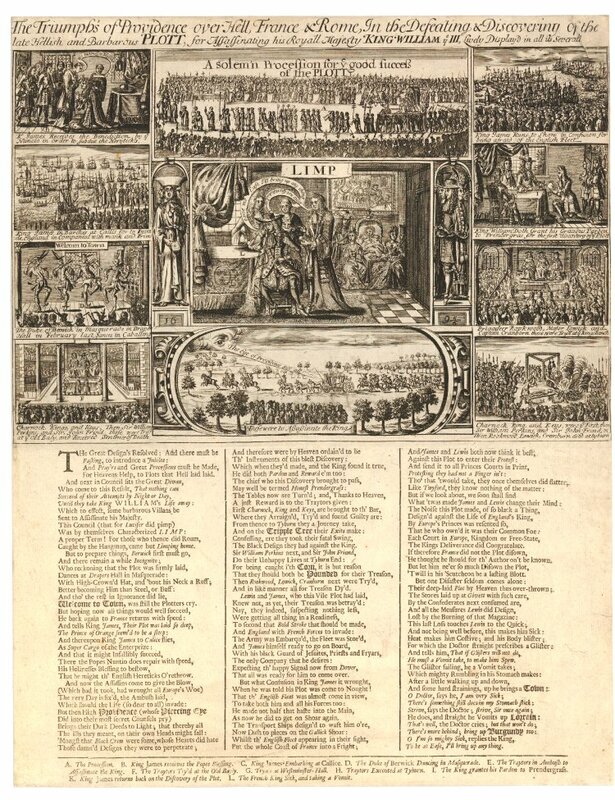 Upon this, the court, who were well acquainted with the disposition of the jury, permitting him to speak, he said, That in the year 1640, a parliament was called according to the laws and constitution of this nation: That some differences arising between the king and that parliament, the king withdrew his person from them; upon which the lords and commons declared — Here the court being conscious, that their cobweb coverings were not sufficient to keep the light of those truths he was going to produce, contrary to the liberty they had promised, interrupted him, under colour that what he was about to say, tended not only to justify the action for which he was accused, but to cast a ball of division among those who were present. But Mr. Carew going on to say, The lords and commons by their declaration — Judge Foster interrupted him again, and told him, he endeavoured to revive those differences which he hoped were laid asleep, and that he did so to blow the trumpet of sedition; demanding, if he had ever heard, or could produce an act of parliament made by the commons alone? To this he would have answered, but was not permitted to finish what he began to say, or hardly any one thing he endeaoured to speak in his defence during the whole trial; Mr. Arthur Annesley particularly charging him with the exclusion of the members in the year 1648, of which number he had been one; to which he only replied, That it seemed strange to find a man who sat as a judge on the bench, to give evidence as a witness in the court. These irregular proceedings, unbecoming a court of judicature, obliged Mr. Carew to address himself to the jury, leaving them to judge of the legality of his trial; and appealing to their consciences, whether he had been permitted to make his defence. But they, who were not to be diverted from the resolutions they had taken, without any regard to the manner of his trial, declared him guilty as he was accused. A sobbing 17-year-old* Alireza Molla-Soltani was publicly hanged at dawn on this date in 2011 in Karaj for slaying an Iranian muscleman. Yoked: the murder victim, Rouhollah Dadashi. 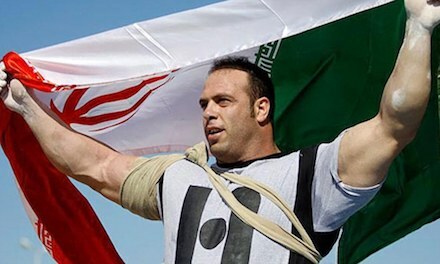 A powerlifter and bodybuilder who was two-time (2009 and 2010) champion of Iran’s “Strongest Man” competition, Rouhollah Dadashi was stabbed to death during a traffic-related altercation barely two months prior: three youths fled the scene in their ride but were picked up within days, even as thousands thronged the celebrity athlete’s burial. His murder raised a public outcry. Vainly, Molla-Soltani pleaded that he had knifed Dadashi in fear of his own life. He reportedly broke down crying and begging for mercy under the noose. Warning: Mature Content. 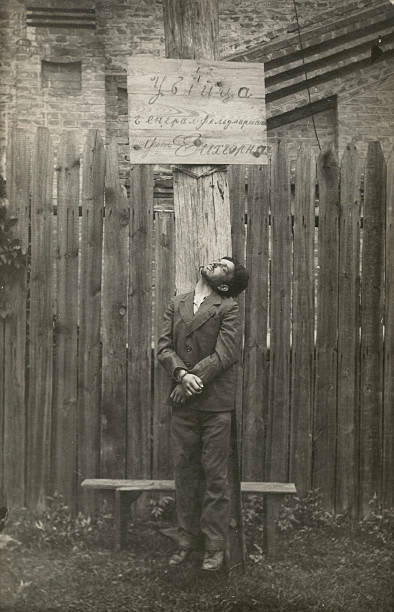 This is not film, but a compilation of the numerous still photographs searchable online of the execution. * Iranian officials contended that Molla-Soltani had reached maturity with 18 lunar years. A lunar year is 11 days shorter than a solar year. 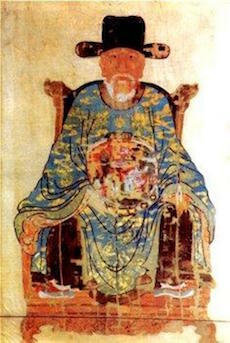 On this date* in 1442, Vietnamese writer, commander, and politician Nguyen Trai died for regicide. The Confucian scholar (English Wikipedia entry | the far more detailed Vietnamese) was already a patriotic hero for taking to the hills in the successful rebellion that had expelled the occupation of the Chinese Ming dynasty some years before. A literal warrior-poet, Trai bequeathed the ages a corpus of beautiful musings to go with his martial axioms. So in everything I trust in the wisdom of God. Even though I’m still poor and, as we know, pathetic. But, wandering in this cold room, the night is far too long. From eating only vegetables and sitting without a cushion. But the very sharpest turn in his fate was the last one, when the Vietnamese sovereign, healthy and young and passing through the area, paid a courtesy call on the 60-something statesman — and shockingly turned up dead in the morning, thrusting the kingdom into turmoil since his heir was an infant. We have seen in these pages that inhabiting the mere vicinity of an unexpected royal death can be an extremely dangerous situation; so it was for Trai, no matter his former heroism or his poignant verse. Perhaps his situation as the favored royal advisor had cultivated the envy of rival courtiers who suddenly found themselves in a position to vent their pique; or, maybe it was nothing but tunnel vision where the situation of being the most proximate initial suspect would transmute into an irresistibly self-reinforcing certainty. Or could this celestial household really have been involved in regicide? It’s one of the most famous mysteries in Vietnam’s history. The man’s contemporaries came to their conclusion almost instantly. Barely six weeks after the emperor’s unexpected death, Nguyen Trai was put to death — and not only he but his wife, Nguyen Thi Lo and all their kin. It’s one of history’s most notorious incidents of the execution of nine relations — the most severe collective punishment to be found in China and Vietnam, wherein anyone closely related to an arch-traitor could be destroyed in a family extermination. Twenty years later, Emperor Le Thanh Tong formally exonerated the man of the charge, a verdict that has been endorsed by a posterity that honors Nguyen Trai as a national hero. * We’re translating the date from the Vietnamese lunisolar calendar, a perilous venture. I’m well outside my expertise here but sources I can find are unanimous on this date and Vietnamese calendar converters such as this one appear to agree.